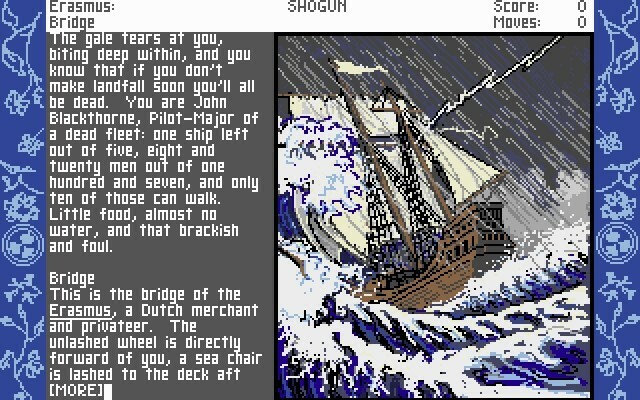 The player assumes the role of John Blackthorne, Pilot-Major of the Dutch trading ship Erasmus. 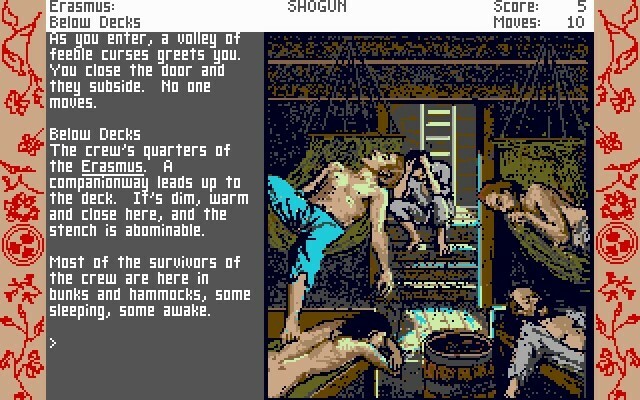 During a voyage in the Pacific Ocean in the year 1600, the Erasmus is shipwrecked in Japan. 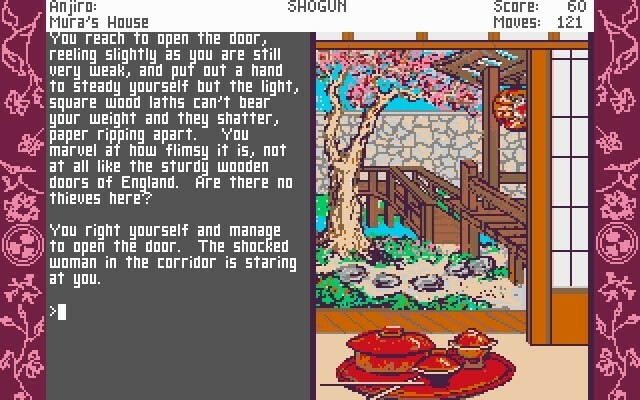 Blackthorne must survive in a land where every custom is as unfamiliar to him as the language. 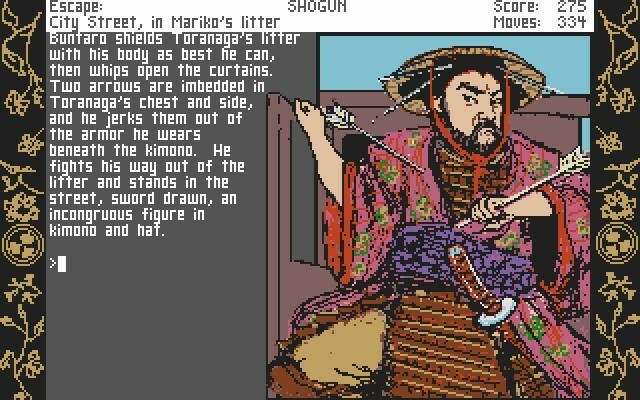 After learning some of the society's ways, he is drawn into a political struggle between warlords and falls in love with a Japanese woman. 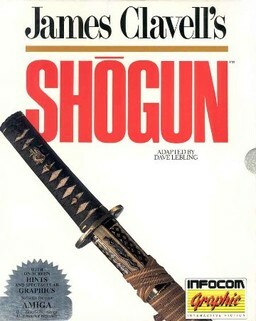 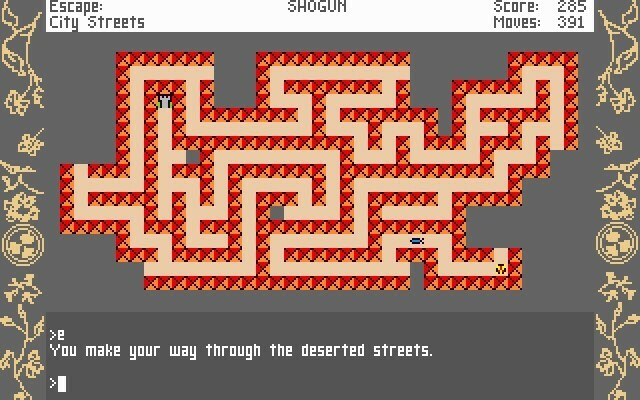 As the title indicates, the game is based on the book Shōgun by James Clavell. 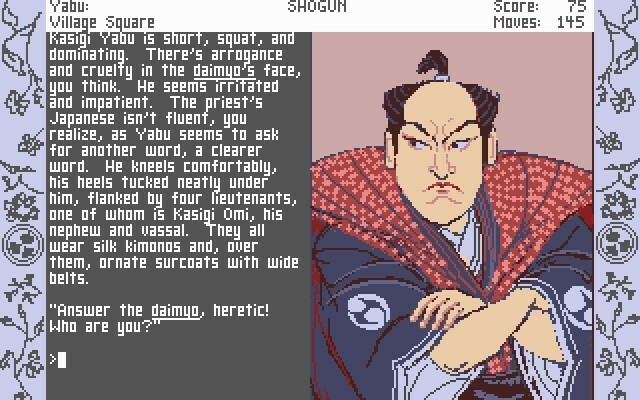 "Sugu-nii's katana is normally settled in it's sheath right?"